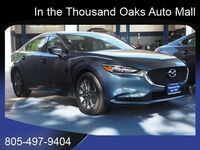 Midsize sedan shoppers curious about the notable differences between the 2018 Mazda6 vs the 2018 Nissan Altima will find that there’s a clear winner when it comes to standard safety features and performance. Because the 2018 Nissan Altima hasn’t been redesigned since 2012, the 2018 Mazda6 outclasses the ageing sedan in terms of technology and performance. 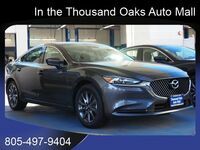 The 2018 Mazda6 and the 2018 Nissan Altima are both available in five trim levels. Drivers will find the 2018 Mazda6 offered in Sport, Touring, Grand Touring, Grand Touring Reserve and Signature trims while the 2018 Altima’s trims are titled 2.5S, 2.5 SR, 2.5 SV, 2.5 SL and 3.5 SL. The standard engine found in the 2018 Mazda6 produces eight more horsepower than the standard engine installed in the 2018 Nissan Altima. Numerous driver assistance features come standard in the 2018 Mazda6, including a blind-spot monitoring system and rear cross-traffic alert. While these features are also available for the 2018 Nissan Altima, only those who purchased the 2.5 SV trim or higher will have access to them. Other standard features include a rearview camera and a sound system with six speakers and support for Bluetooth connectivity. 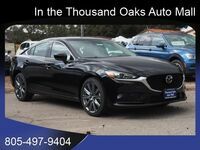 This sedan’s higher trim levels add plenty of enticing features that drivers will want to consider. 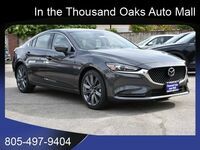 Features such as heated front seating, proximity-based keyless entry, automatic wipers and a sunroof can be found in the 2018 Mazda6 Touring. Alternatively, Grand Touring models adds a new engine and an upgraded infotainment system. 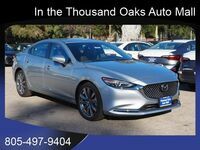 Standard 2018 Mazda6 exterior color options include: Titanium Flash Mica, Deep Crystal Blue Mica, Snowflake White Pearl Mica, Machine Gray Metallic, Jet Black Mica, Soul Red Crystal Metallic, Sonic Silver Metallic and Blue Reflex Mica.